The dastardly RRR gang has forced you off the road in the midst of your honeymoon! Your wife Cindy dies in the ensuing accident and it’s up to you as a member of the Mobile Armoured Task Force to rid the streets of the RRR gang and get revenge for the death of your beloved! Yes, this is actually the plot of Road Avenger. 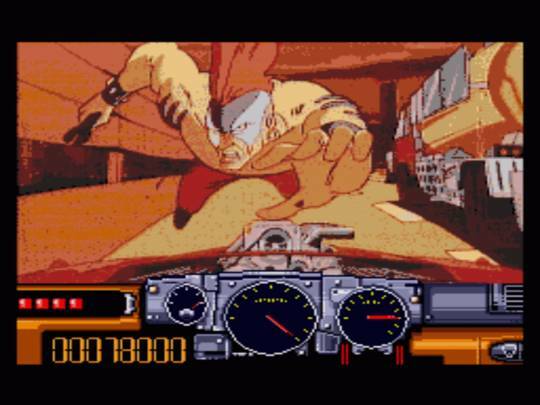 Road Avenger began life as Road Blaster, an arcade title from Data East that features an animated video that you must interact with via on-screen prompts. 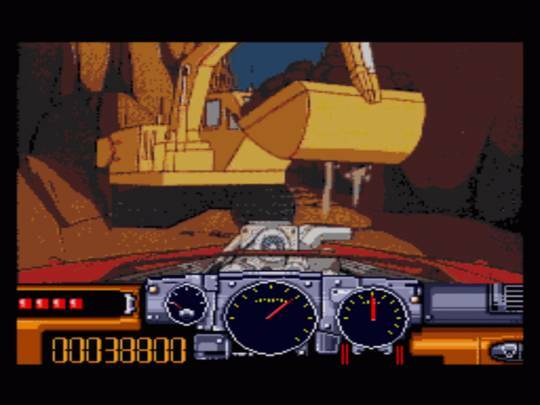 The game was ported to the Mega CD by Wolf Team so console owners could experience all the ridiculous fun of Road Blaster in their own homes. The game essentially boils down to pressing left, right, boost or brake when prompted to. Press too late and you’ll crash in a magnificent explosion and lose a life. Lose all your lives and it’s game over. At first glance this may seem pretty banal and very repetitive but most of Road Avenger’s entertainment comes from it’s presentation and over-the-top plot. The visuals are some of the best in any full-motion video (FMV) game for the Mega CD and there’s plenty of them. You get a fairly large display of the action with only some slight borders to the edges and a very clear heads-up-display that takes the form of the dashboard. Because of the nature of the animation, it’s also quite easy to follow the action without too much trouble. Live action FMV games suffer the most in this regard because the limited colour palette of the 16 bit Mega CD has a habit of distorting the image. 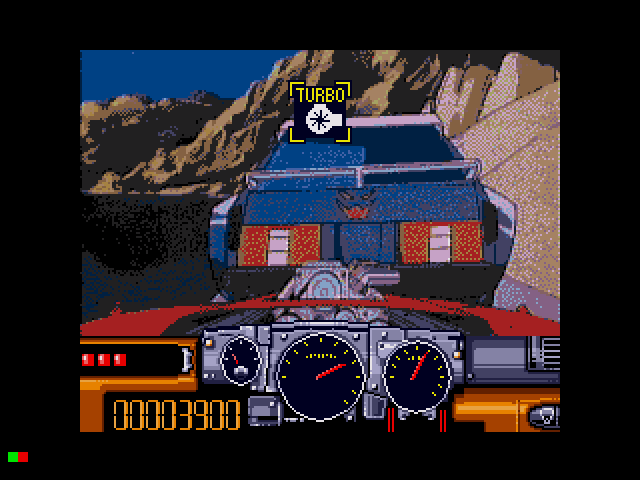 However, Road Avenger holds up well and allows you to enjoy the animation during your playtime. And there’s plenty to enjoy. Your seemingly invincible car can turn on a sixpence, ram other gang members’ cars and go almost anywhere including beaches, sewers and even up stairs. The sheer amount of enemies that you can lay waste to by simply bumping into them (and then watching them explode in glorious, Hollywood fashion) is just ridiculous fun to watch even if it does appear to be somewhat silly. It’s also rather hilarious to watch gang members show up in the strangest of places. Farmyard anyone? Road Avenger really pulls out all the stops with it’s crazy scenarios. Did anyone ever ask where you’re actually heading or is the main character just winging it in hope of finding more gang members to dispatch? The answer is a firm ‘who cares?’ because as I’ve already mentioned, Road Avenger is more of a game to be seen rather than played. The Mega CD also does a fantastic job of keeping the audio in an impressive high quality. 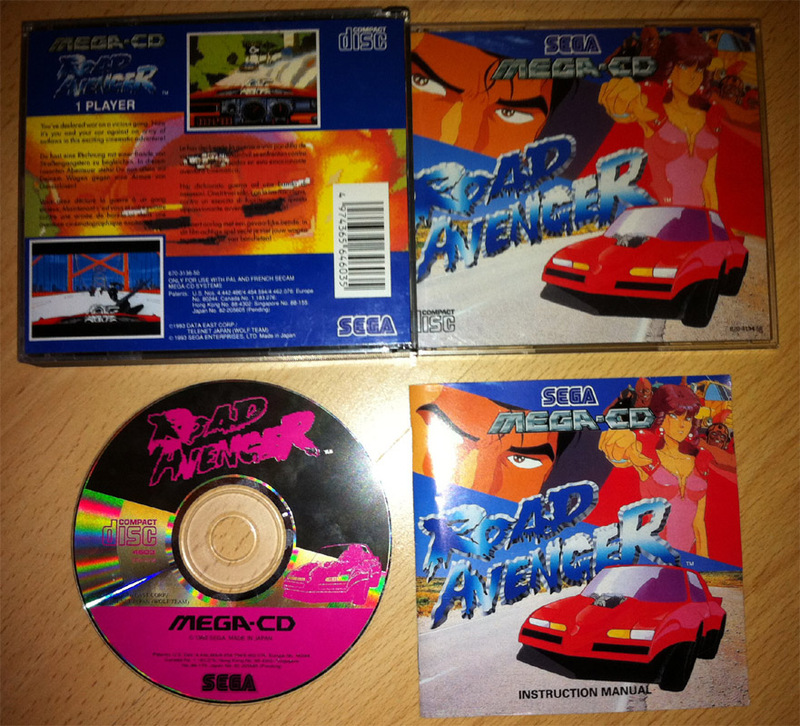 Other Mega CD games usually muddy the audio during their FMVs but Road Avenger does a magnificent job of keeping the standard high. All the smashes, scrapes, squeals and pedestrian screams can be heard perfectly. However, the actual soundtrack itself can be barely heard above all the carnage that unfolds onscreen. To its’ credit, it’s a fairly standard and rather forgettable rock soundtrack that is only in place to keep adrenaline high. Therefore it’s more functional than enjoyable. Unfortunately, as an entire experience Road Avenger is a rather short affair. Once you’ve beat it the only reason you’ll ever revisit it again is to see it’s superb FMV. But outside the main game there is nothing other than a harder mode of play to entice you into playing for any longer. Road Avenger was never going to set the gaming world on fire. 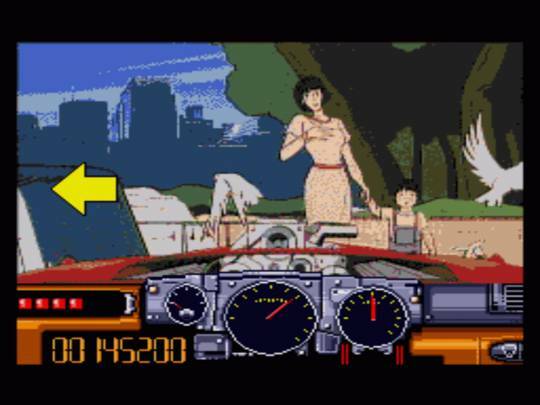 FMV games on the Mega CD are more or less just tech demos to show off the console’s superior video rendering capabilities, but Road Avenger still shines out just because it’s so ludicrous. Everything about the game is over the top; even the opening theme is one of the most self-indulgent rock ballads you’ve ever heard and you wouldn’t want it any other way. In short, Road Avenger won’t be the most involving game you’ve ever played and there isn’t nearly enough of it to warrant further plays, but what is available is so down-right fun on the simplest of levels that it would be a shame to miss out on. Also, you’ve got to love that cheesy, 80s anime right?